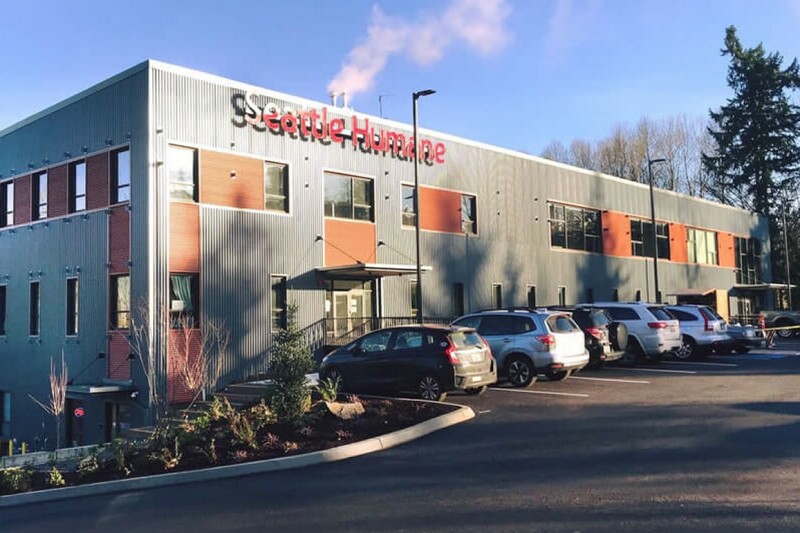 Holaday-Parks provided plan-spec, mechanical services for this new, three-story facility located in the Woodbridge neighborhood of Bellevue, WA. The building includes an animal shelter, adoption center, and veterinary teaching hospital. We installed extensive ventilation fans designed to prevent the spread of disease and odors. The new shelter has a capacity for 165 cats and 170 dogs. Construction took place on the same site as the previous facility, which had remained open and operational during construction.